Here is a quick recipe for a nutty Easter Bark ! I always look forward to how a bark treat turns out, as I normally add whatever I am in the mood for at the time. 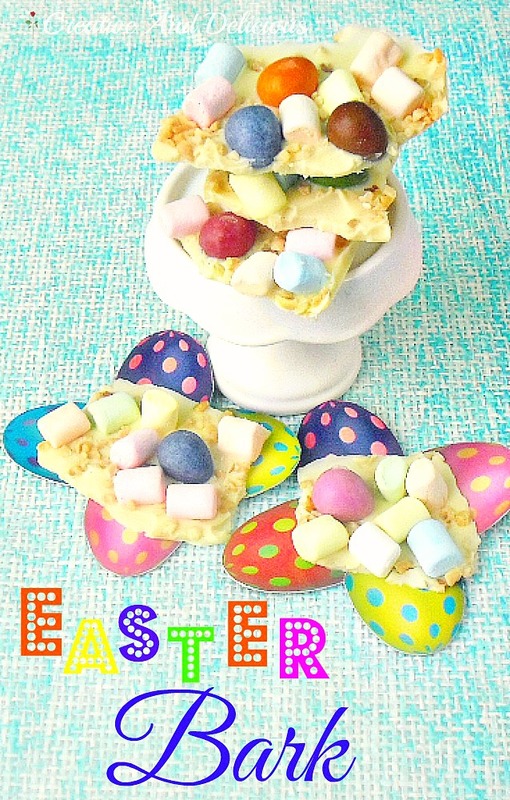 No big deal with this one – I love all Easter treats available in the stores this time of the year. 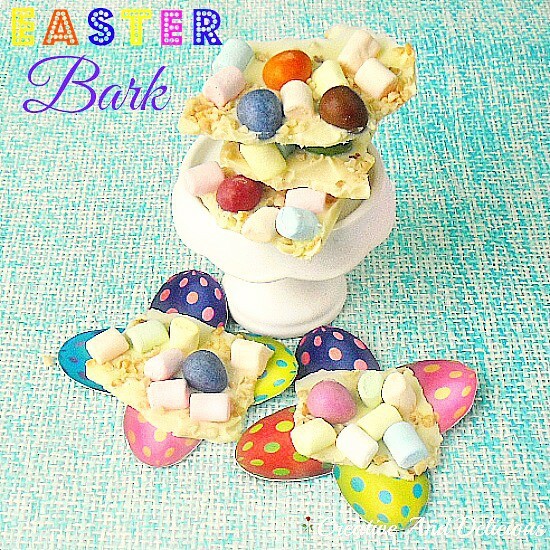 Some mini marshmallows, chocolate filled mini eggs and nuts for this one ! I would recommend doubling the recipe, as these were gone in no time at all – same directions, only use a larger piece of aluminum foil and double the ingredients. 1.) Place a sheet of 20 x 30cm aluminum foil on a baking sheet. 2.) Melt the Chocolate until smooth – pour onto the center of the aluminum foil spreading the chocolate outwards with the back of a table spoon. 3.) Scatter the Mini Easter Eggs and Marshmallows over in a single layer. 4.) Sprinkle with the Nuts – place in the refrigerator to harden. 5.) Break into pieces – keep all leftovers in a container in the refrigerator. Ooh fun, Elizabeth's begging me to make this she's sitting next to me and drooling!